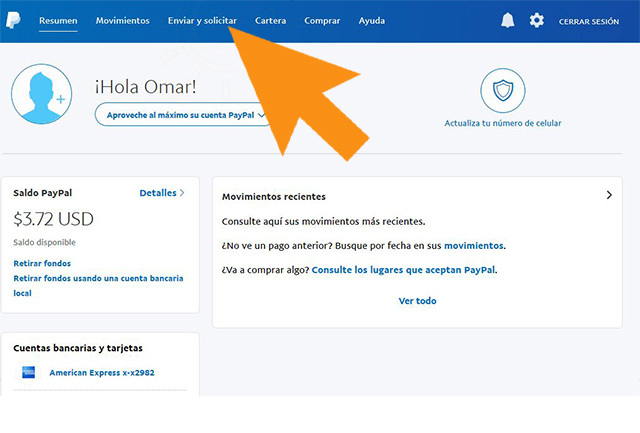 1.- Log in to your Paypal account and associated your card. 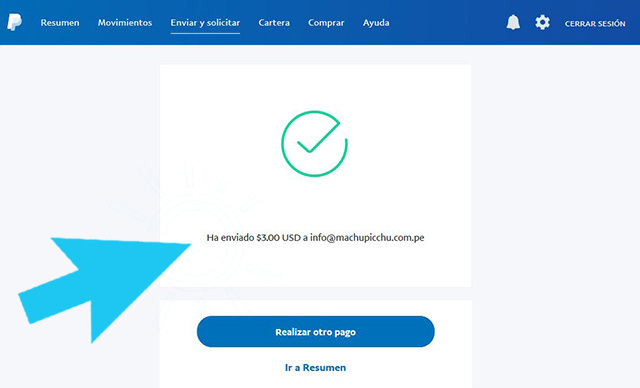 4.- Write the direction of email info@machupicchu.com.pe and then click on next. 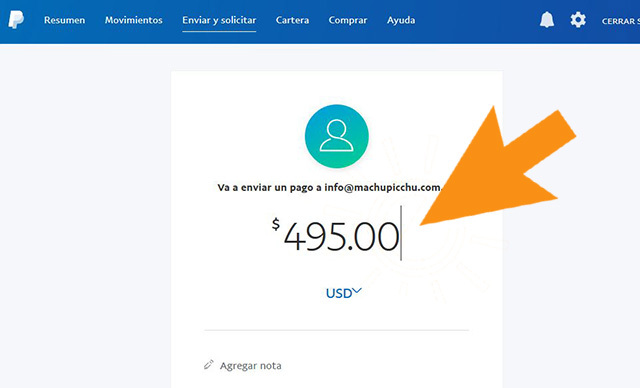 VERY IMPORTANT: Confirm that you have the correct email address before sending the money so as not to accidentally send the money to the wrong person. 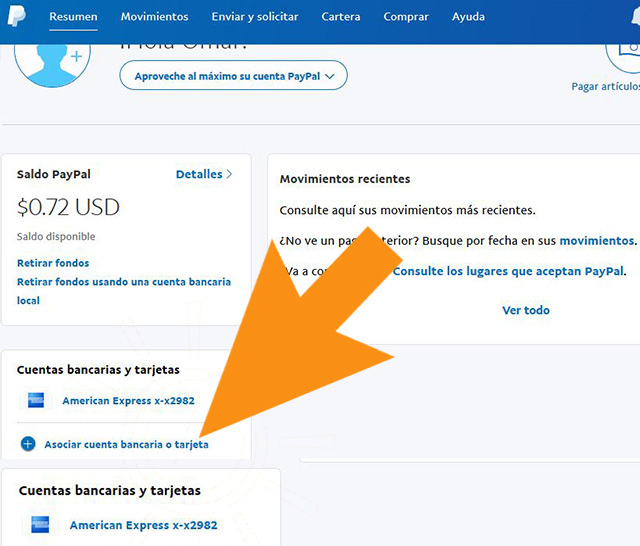 5.- Enter the amount of money that your sales agent you have indicated, then select USD (American dollars). Click on the button “Continue” and wait for your payment response. 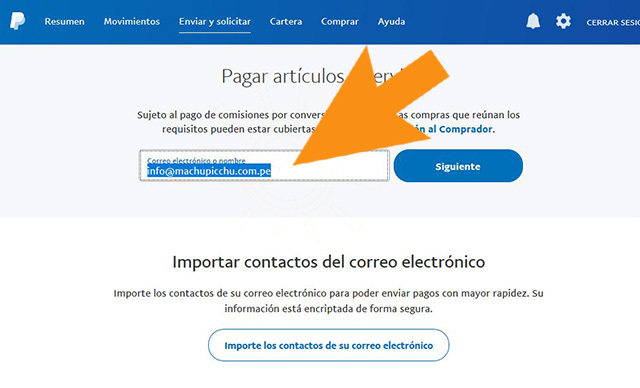 VERY IMPORTANT:Read the payment information, making sure there are no errors in the amount of payment and the information of the person to whom you send it. 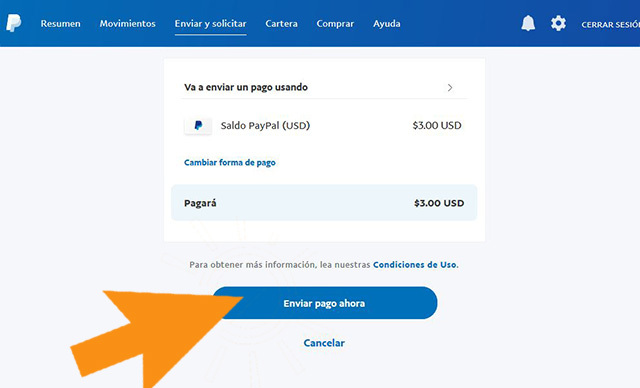 6.- Click send payment now and wait“ and wait for your confirmation.